With that in mind, let’s begin with the Senate. As always, I invite readers to click on each candidate’s website and determine for yourselves who best to vote for. With the announcement of Don Benton to not seek another term, Democrats are once again placing their hopes in Tim Probst, who lost to Benton in 2012 while for Republicans, we see Lynda Wilson vacate her House seat in order to vie for the Senate. Since there is only two running, both automatically advance to the November General. But as with every other race, only one can win in the General and in this bloggers view, the clear choice is Lynda Wilson. Don’t let yourselves be fooled by Probst’s boyish looks or his call of he is for everybody. Behind that face lies a cold, calculating Liberal Democrat that cries for a clean campaign each time, but relies on slinging mud towards his opponent in every single election, revealed here, here and here. Probst was very coy while in the House with his “never vote for a tax increase” claim, knowing at the time that his party, Democrats, were in complete control of the State Government and easily passed all tax increases without his vote. Odd that he received a pass each time he voted against Democrat bills while so many other Democrat were ostracized for voting with Republicans. On the other hand, Lynda Wilson has shown herself to be a very capable legislator staying true to her word and advancing measures that actually benefit all, such as her bill to protect recruiters after some were gunned down in cold blood back east. It must also be noted that she has already been attacked by the Probst camp over women’s issues, causing her to “set the record straight” on brutal lies coming out of Probst’s campaign. As is usual, Probst denies any connection, even though he was witnessed being seen with those that performed that egregious act the prior evening. We know that Democrats are very hungry to retake this Senate Seat and likely control of the Senate along with it, having lost it back in 1996 to Don Benton. If those of you in the 17th desire to retain excellent representation in the Senate the choice is obviously Lynda Wilson. The seat vacated by Lynda Wilson in order for her to run for the Senate is up for grabs and also indicates how hungry Democrats are to wrest control of the 17th from Republicans as see six candidates, Two Republicans and four Democrats trying to win the set. For Republicans we see Vicky Kraft from the Freedom Foundation and nine year Port of Vancouver Commissioner Jerry Oliver. For Democrats we see Clark County IT Technician, Sam Kim, anti-oil terminal activist and owner of Hoesly Eco Auto & Tire Don Orange, Democrat PCO Joshua Egan employed with ANC Movers and Bernie Sanders supporter Ron Frisina. 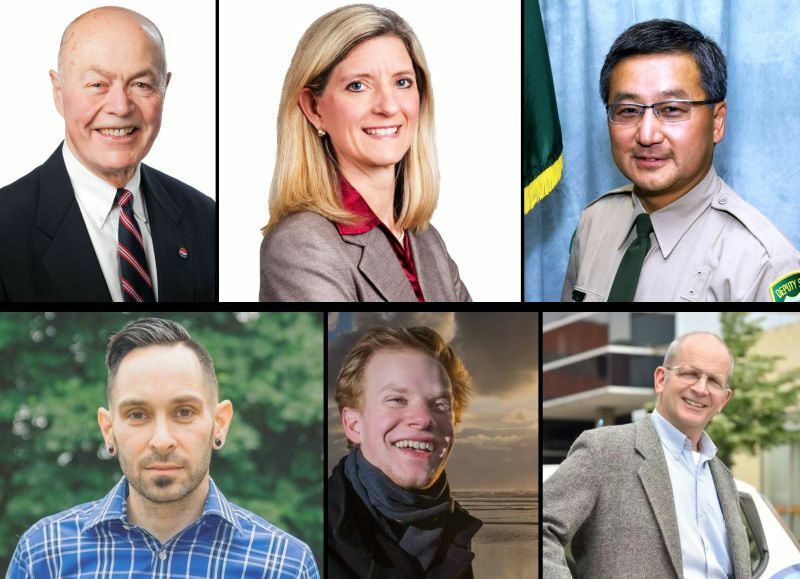 All are first time political candidates, save Jerry Oliver who has a solid record of job creation as a Port of Vancouver Commissioner for 9 years. Even though a first time candidate, Vicki Kraft has solid experience in promoting conservative issues through the Freedom Foundation and like Jerry Oliver, would be a good fit in the 17th. Sam Kim disappointed Republicans by initially announcing a run as a Republican, but filing as an “Independent Democrat,” but seems to be worth serious consideration if he gains some traction. Don Orange seem to fit into the hopes of so-called “green jobs” that have seen failure after failure worldwide, leaving workers deep in economic strife. Frisina and Egan are barely making a blip on the political radar and have gained no traction at all. 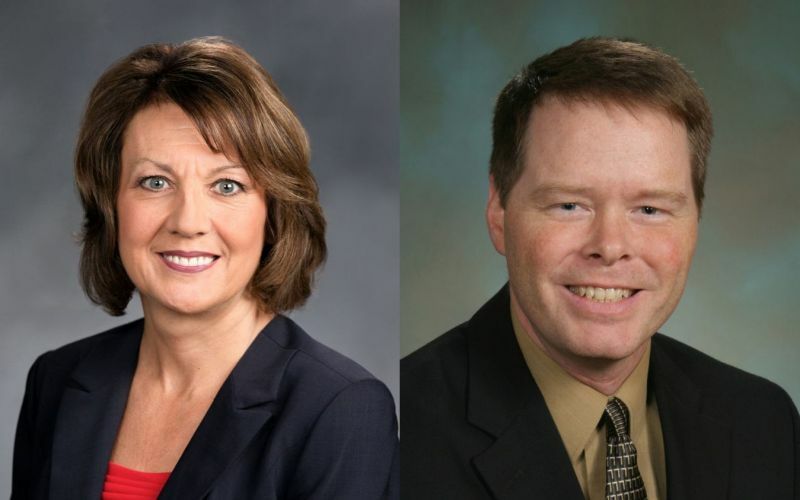 As unlikely as it is to see happen, I would like to see both Republicans, Jerry Oliver and Vicki Kraft advance, Oliver having greater experience in job creation, but Vicki having the appeal and support. Barring that occurring, I’d hope to see Sam Kim advance due to his record of fiscal conservatism and strong record of community involvement. As far as this blogger is concerned, Colwell epitomizes everything I currently see wrong within the Clark County Republican Party. A very accomplished man indeed. But, he at times speaks well above people and that might not resonate well. Paul Harris, seeking a fourth term, has shown his willingness to work across party lines and is well respected within the district, serving in the Leadership position of House Minority Whip since 2011. It is easily seen that both Paul Harris and Martin Hash should advance to the General where it is my estimation Harris will be returned to the House. As before, the above is how I envision things and many of you will disagree. That is fine and I hope you all do your own due diligence and check each candidate out and weigh them against each other, not just rely on the partisan letter behind their names. It rests with you, but only if you vote. Good luck to all candidates and may the best person win. Carolyn Are you running again? I saw a sign of yours in Salmon Creek/Hazel Dell? Thanks Lew. ITs seems we may need another post about Lou B. He’s going off on Madore again thinking he’s the only one whose incredulous and got the right columbian reports. Honestly, I care less except when he runs the lazy C into the ground. Lou’s rants are as insignificant to me as are Kelly’s. Even Liberals have gotten on Lou about his excessive targeting of Madore, but Madore also makes it very easy and plays right into their hands. He refused to listen long and in return, stabbed me in the back, repeatedly. It’s interesting that Martin is running. I wonder if the D establishment supports him. He’s bound to ruffle a few liberal feathers because I found him to be an honest person – politicians generally frown on that. It’s kind of too bad that he’s running against Paul Harris. I wish he’d gone for the open seat. I like what I read on Jerry Oliver’s website – especially his idea about a sunset clause on all regulation. I’ll give him a closer look. Martin Hash is a very interesting man. I too find him very honest. Martin has been around several years on various blogs and such. I loved some of his car riding and sharing ideas that were way before uber and lyft. He should be full of ideas and has a laughter that just steals the show. As to Jerry Oliver, he used to be a port commissioner of Vancouver. So he might want to run for some thing more after the bamboozlement failure of the oil transport idea. I hope to hear more from him as the voting comes near. Maybe he can post some ideas here?? Don’t forget, the oil terminal was a unanimous vote of Port Commissioners until LaBrant was elected.